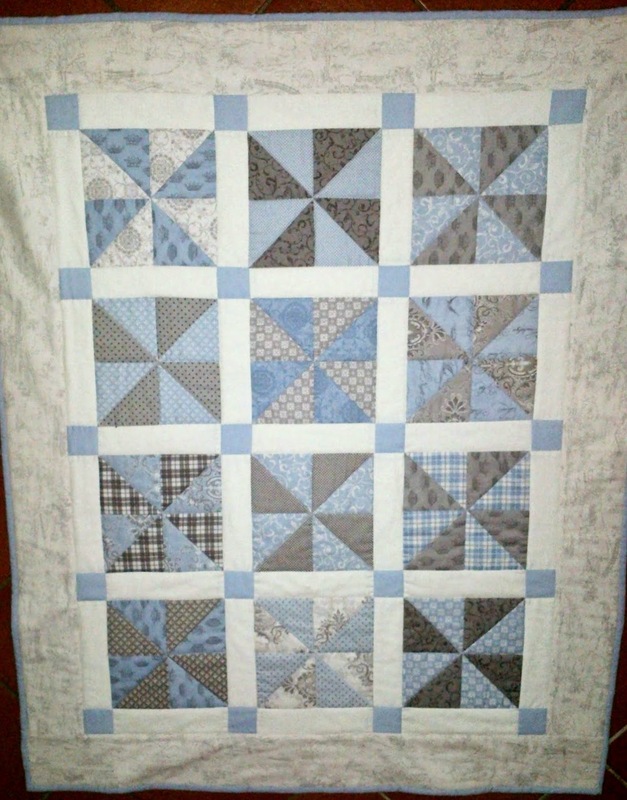 In my summer December vacation, I finally had some dedicated time for quilting again. 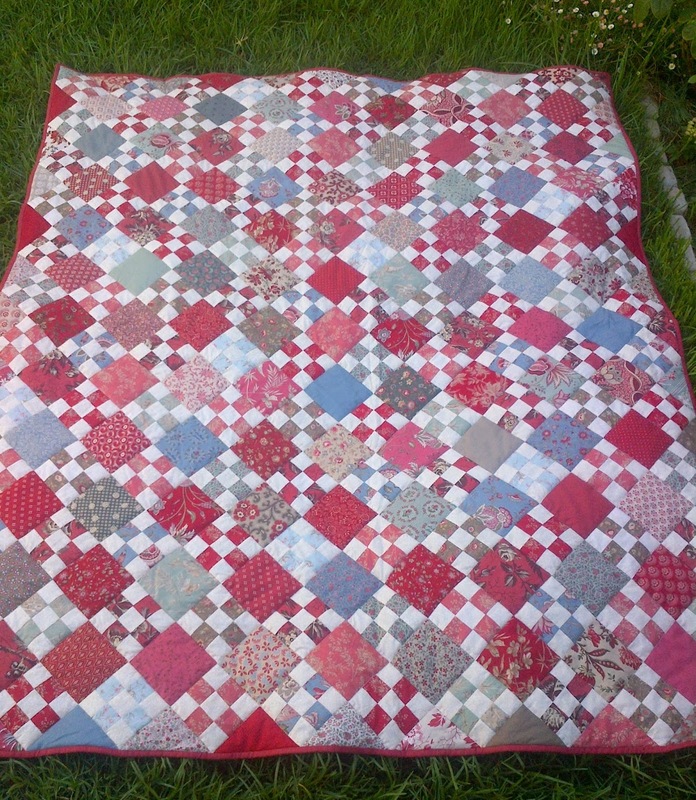 I managed to finish basting and quilting my French Nine-patch quilt top, made with a couple of different Moda French General charm packs. 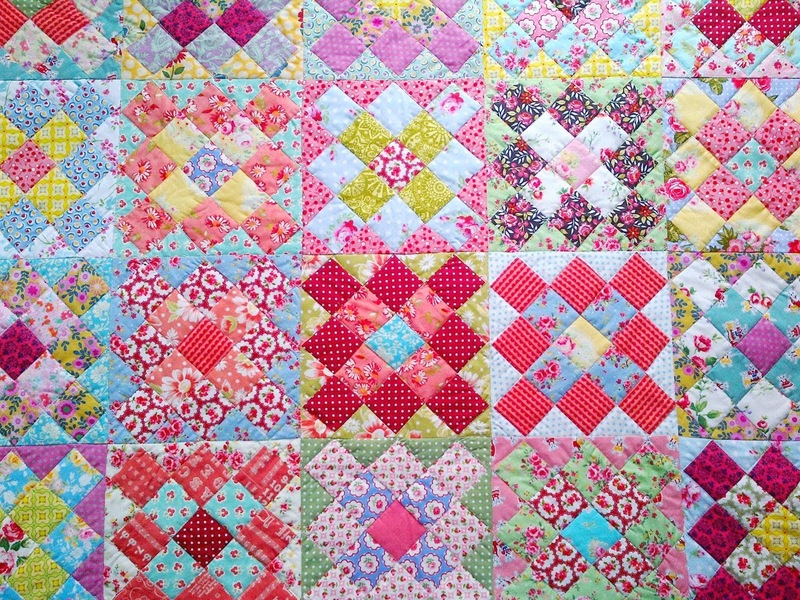 I backed the quilt with some Moda 3 Sisters Paris Flea Market fabric that was on sale from Hancocks of Paducah (my favourite online store, their prices, shipping costs and customer service are unbeatable). 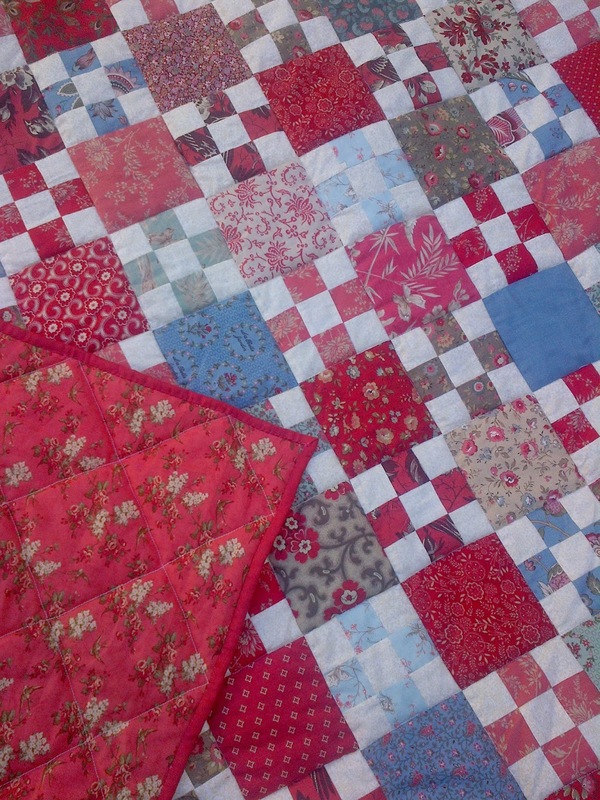 I did simple stitch-in-the-ditch quilting only on the large patches, which has made the quilt nice and soft. 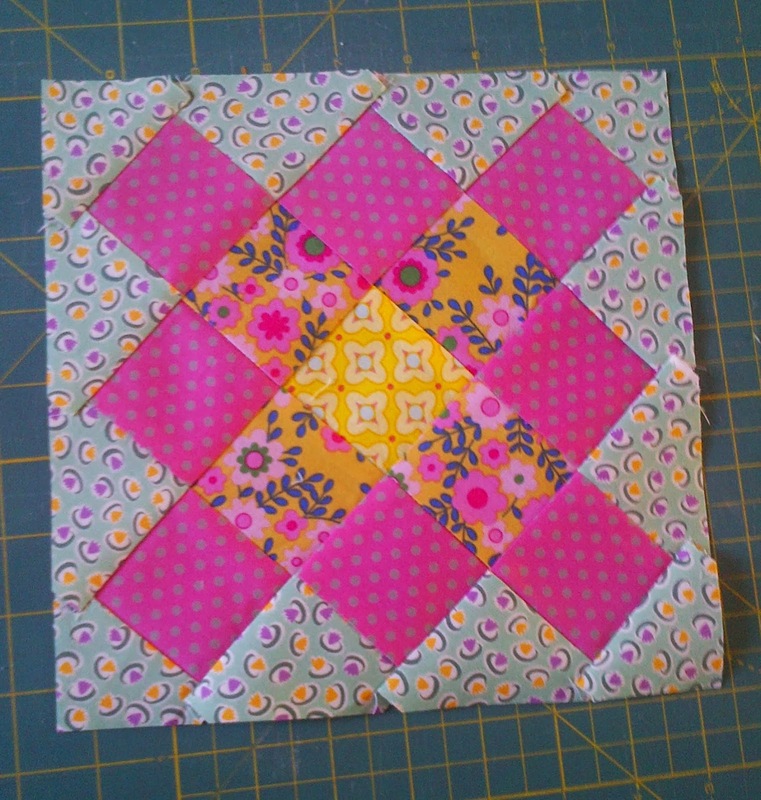 I recently bought a fantastic little quilting book (at the university academic book store?!) 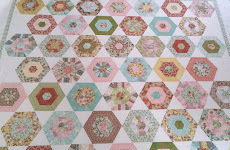 called 500 Quilt Blocks by British authors Lynne Goldsworthy (http://lilysquilts.blogspot.com/) and Kerry Green (http://verykerryberry.blogspot.com/). 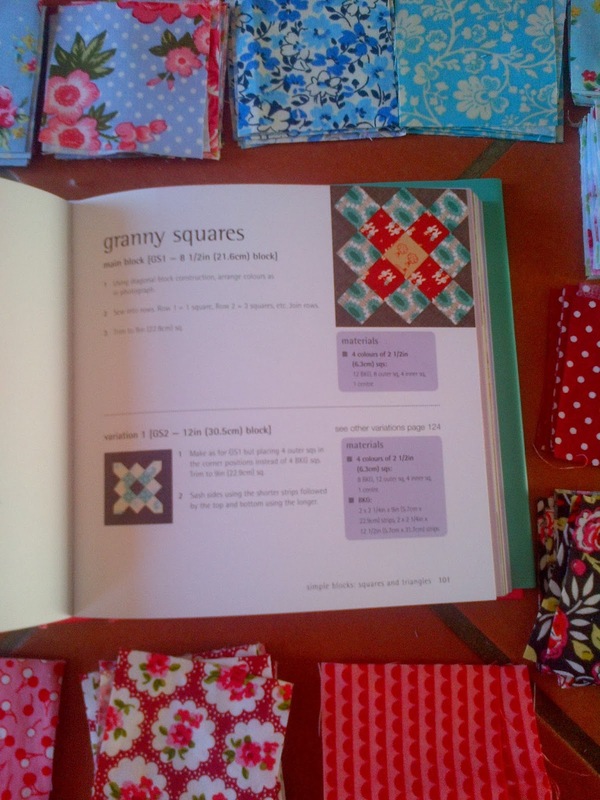 This a fantastic book with excellent instructions and beautiful examples using modern and vintage fabrics. 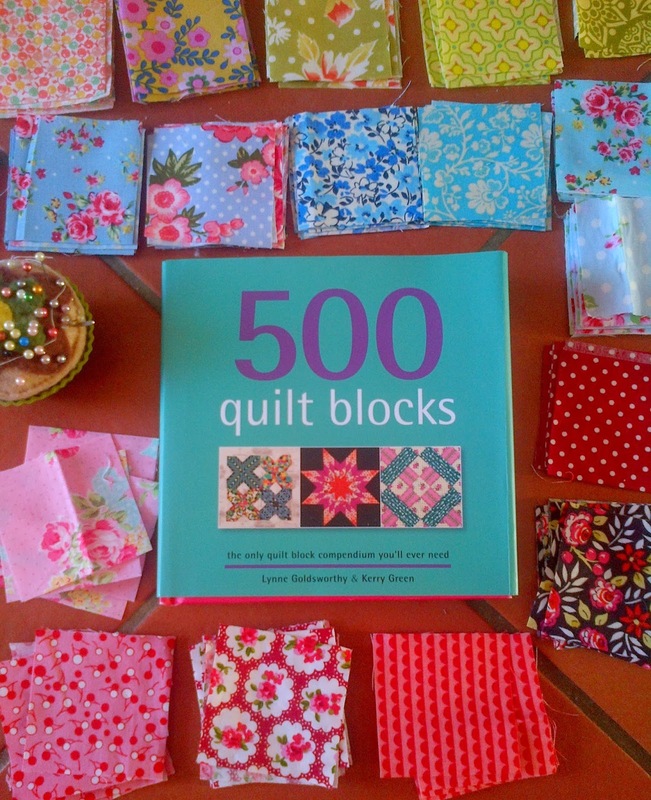 I find this book very inspiring and I would like to make a sampler quilt with my Kaffe Fassett fabric stash sometime soon. 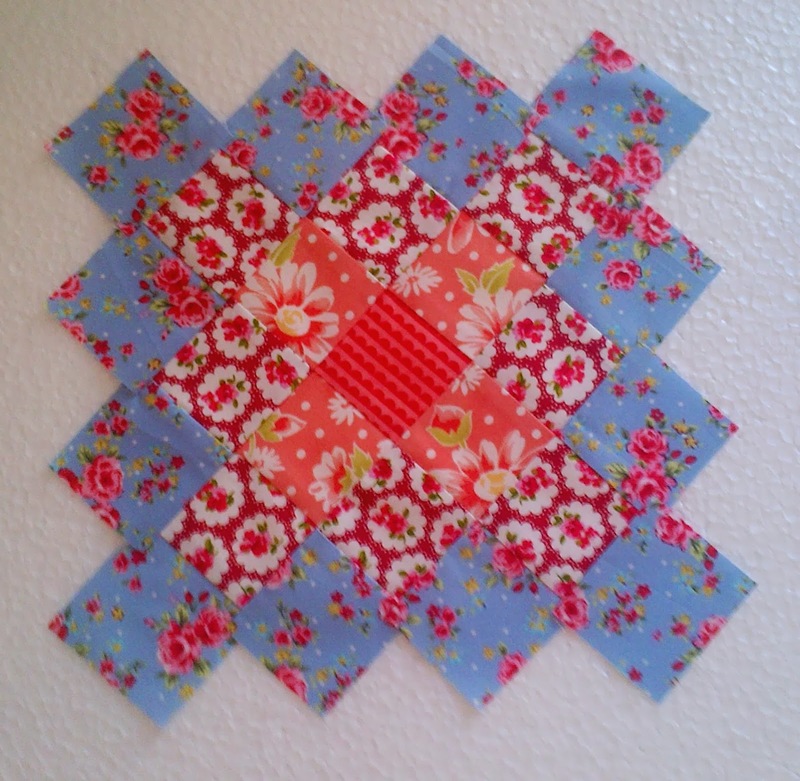 At the moment I'm playing around with Granny Squares block from their book with my small floral prints fabric stash. 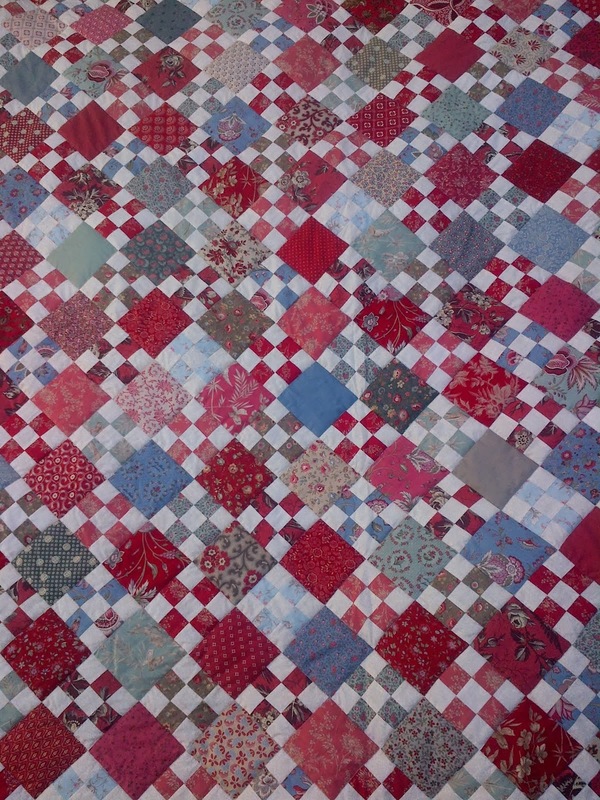 I find your blog absolutely beautiful. Tweety bird had me lol this morning as I read back posts. 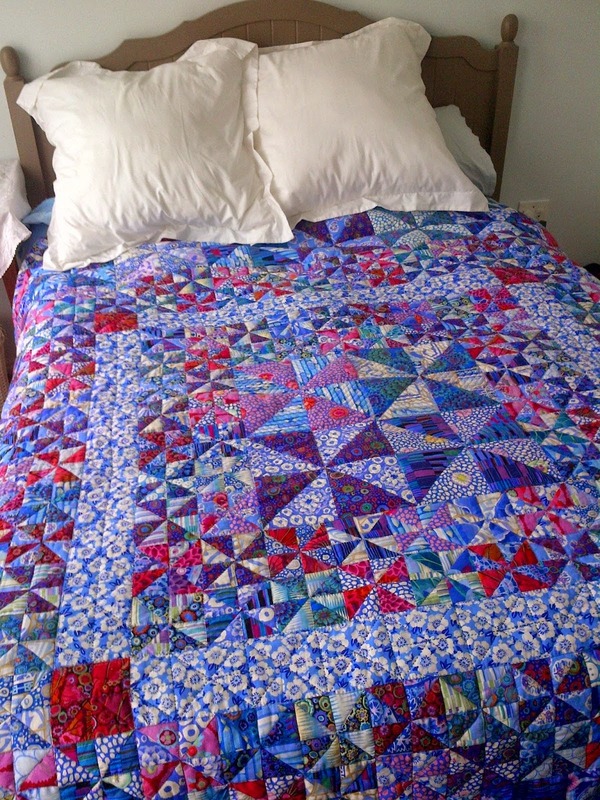 Congratulations on the finished quilt, which turned out stunning. 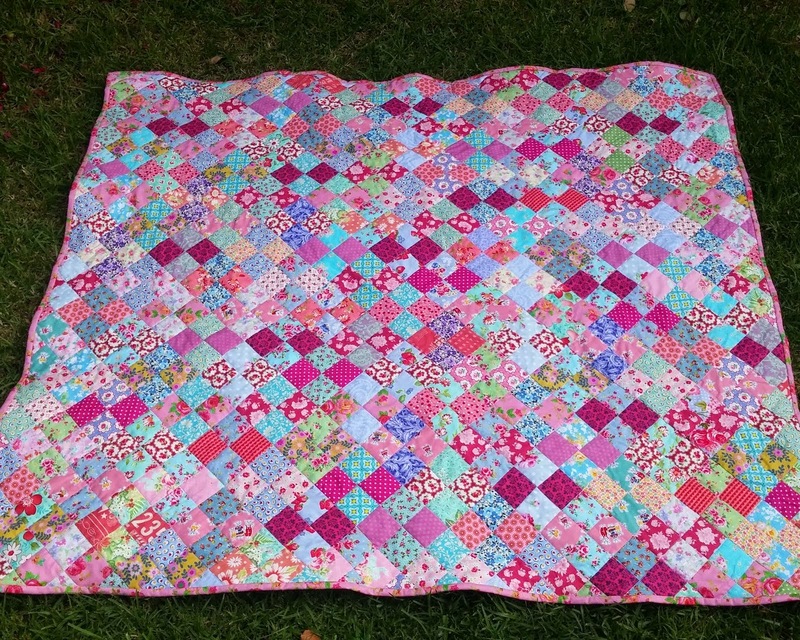 And it seems you are already knee deep into your next project, which looks lovely too. Glad you had help from your Sweety Bird ;)!!! I just discovered your blog this morning and read the back posts. Your sense of color is wonderful! So many beautiful creations! I also love your garden, especially since we have about six inches of snow on the ground here in western Pennsylvania, USA. I made your first picture from your "Spring Inspiration" post my desktop background so I may look at beautiful flowers all day. 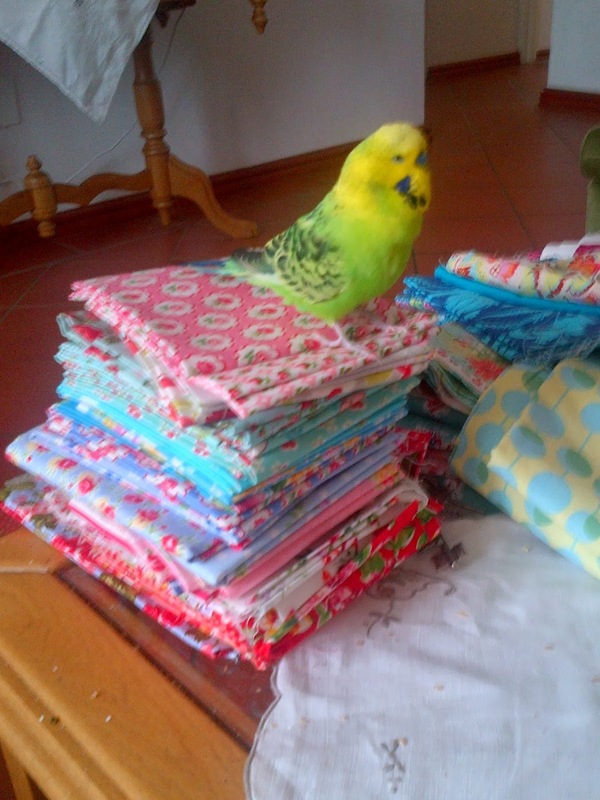 sweety bird is a big help!!! i have 3 helpers too (but not the feathered kind)and some are "more helpful" than others. they are such lovely little pals.